(Pak Destiny) Here comes a story of Rs15 billion made by Punjab Chief Minister Shahbaz Sharif’s ‘front man’ Javed Sadiq. Shahbaz Sharif appeared unnerved over the revelation of his front man and hit back at Imran Khan to prove that he made Rs15bn commission through Sadiq. It appears that it will be difficult for Shahbaz to do a damage control ahead of PTI’s Nov 2 Islamabad lockdown. PTI chairman Imran Khan has accused Shahbaz Sharif of receiving kickbacks on development projects through a frontman Sadiq. “Javed Sadiq, a Canadian citizen, is seen in numerous meetings with Shahbaz Sharif… he [Punjab CM] receives kickbacks through him,” Imran told journalists. Sadiq had so far received Rs15 billion as commission and consultancy charges in several provincial projects, and is due to get another Rs26 billion, Kkhan said. Imran said people were highlighting Sharif brothers’ ‘corruption’ as his party’s planned lockdown of the capital was approaching, adding “he will expose more such incidences in the coming days”. Shahbaz reacted sharply saying “If I am proven guilty of corruption, me and my offspring will leave politics,” he announced in a news conference, adding he had sent a legal notice worth Rs26bn to Imran. He Sadiq is an employee of a Chinese company and had ever been his ‘front man’. 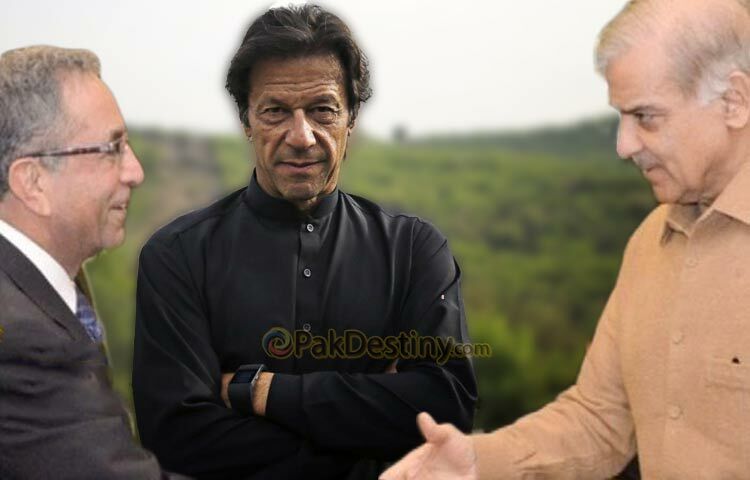 Official sources told Pak Destiny that Imran Khan is going o expose more frontmen and corruption stories of Sharif brothers ahead of Nov showdown in the capital. Let me remind you.. Who was ruling Pakistan back in 2006 and who was the CM Punjab at that time ?.